To the people of rural Britain, hares are deeply beloved, perhaps above all other animals. But how much do we know about these elusive creatures? Marianne Taylor, author of The Way of the Hare, illuminates some of their lesser known traits. We all know that hares are famed for being speed demons. 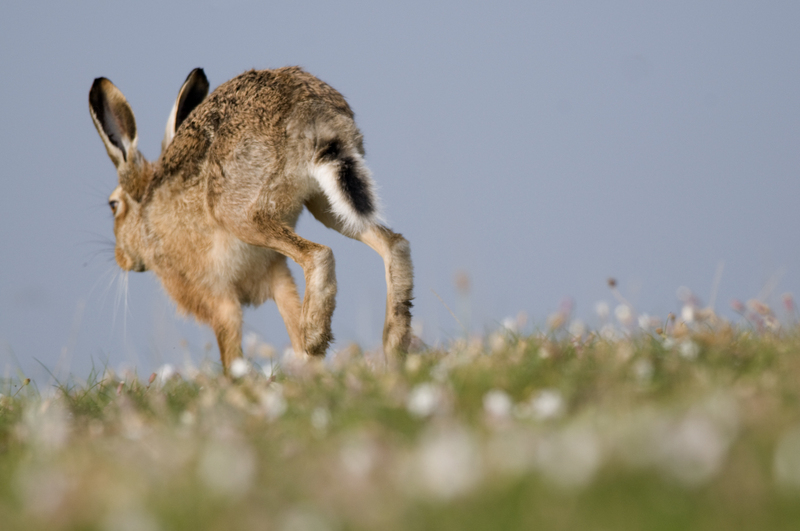 Running flat out, a brown hare can hit just over 70km/h, which makes it the fastest-running wild mammal in Britain. And to have a hope of ever catching one, humans had to selectively breed a super fast, long-legged dog – the greyhound. However, the hare’s top speed is only part of their success story: studies show hares can accelerate at 4.4m/s2! Even when he’s bursting out of the starting blocks, the fastest human on Earth, Usain Bolt, accelerates at a comparatively measly 2.92 m/s2. But that’s not all hares can do: they can also slow down even more rapidly than they can speed up. And it’s their ability to decelerate at an incredible 5.2m/s2 and then speed up again almost as quickly that allows them to make their famous lightning-fast changes in direction. This zigzag or ‘jinking’ escape trick can help hares escape the jaws of even the fastest greyhound. Those crazily long legs look cumbersome when the hare is loping along, but they allow for extraordinary speed when it’s needed. If you’ve ever seen rabbit poo, you already have a fair idea of what hare poo looks like as it’s just a slightly larger version of those compact brown pellets you find lying around in fields where rabbits are plentiful. 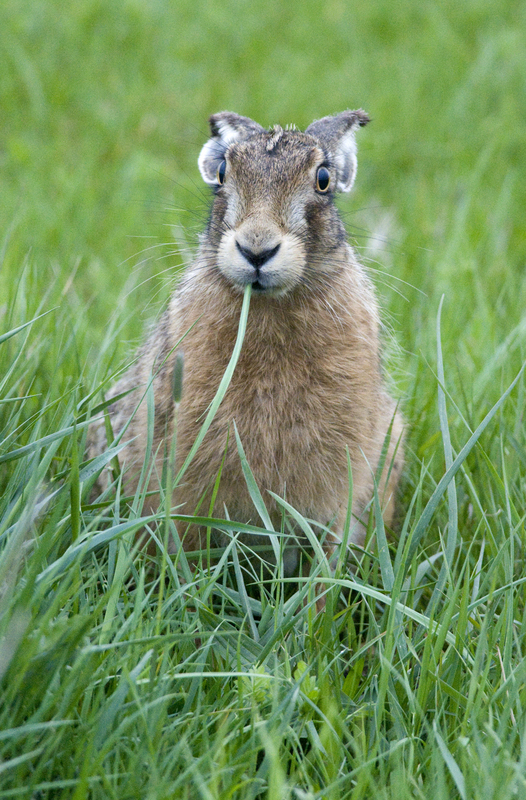 Both hare and rabbit poo is made of grass fibres wrung dry of all moisture, colour, and, presumably, useable nutrients. What an efficient gastrointestinal tract these animals must possess to deal so thoroughly with indigestible grass. Well, yes and no. To achieve this efficiency lagomorphs have to eat the grass twice because one trip through the gut isn’t enough. Yes, hares and rabbits eat their poo! During the night they produce special droppings called cecotropes, which are soft, moist and stuck together in lumps, and they eat them straight away, to give their guts a second go at absorbing nutrients. Only after a second journey through the intestines do those familiar dry pellets of poo come out. That blade of grass has a long, complicated and rather startling journey ahead of it. Hares are linked in lore and legend with fertility and friskiness. One reason for this is that as they approach their ‘due date’, pregnant females seek out liaisons with any willing males (which is all of them). To be keen to mate at a moment when most female mammals are quite possibly wishing they’d never mated in the first place might seem unusual. But female hares have a superpower – they can get pregnant when they’re already pregnant. Ultrasounds of captive hares have confirmed that females that are about to give birth can also have a new set of fertilised ova waiting in the wings, as it were, for the first litter to be born. After the birth, the new set settles into the recently vacated uterus. Mind-bogglingly, this means that the sperm that fertilises litter two somehow finds its way through a uterus already full of well-developed young to reach the new eggs. This strategy shortens the breeding cycle by a few days each time, which may mean that the hare can squeeze in an extra litter per year before the summer’s end. 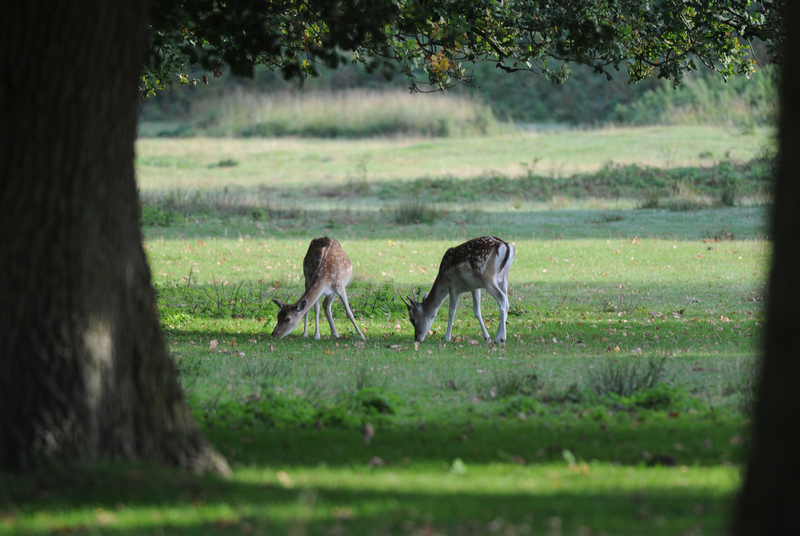 Competition with hoofed grazing mammals like the Fallow Deer is a real danger to hares around the world. For all their talents, hares and rabbits (the lagomorphs) have suffered for millennia at the hands – or rather hooves – of their larger, stronger, more efficient and at times even faster rivals. Deer, sheep, antelopes, goats and their allies represent evolution’s alternative system for making a mammal that can live on grass and it seems to be a success. These ruminant animals don’t need to eat their poo – their four-chambered stomach does the job of rinsing nutrients out of their grassy diet. That seems to be a better way since ruminants worldwide have long been doing much better than lagomorphs, which are slowly disappearing. For a microcosm of the global picture, let’s look at an example from Minorca five million years ago where an ancient lagomorph lived, while on neighbouring Mallorca there lived an early ruminant. Both dwelt quite happily on their respective islands until a sea level shift revealed a land bridge, linking the two islands. The ruminant spread to Minorca and got to work eating its way through the grasslands, and very soon it had outcompeted the lagomorph into extinction on both islands. There are hares around much of the world – Europe, Asia, North America and Africa all have hares aplenty, of various species. Understandably, hare mythology spans the globe too and, in lots of cultures, the hare has a special connection with the moon, which is almost certainly because hares are best seen (and hunted) on moonlit nights. Another connection – real or imaginary – is the link between our moods and the moon’s phases, with madness and moonlight thought to go together as surely as madness and hares do. (Though hares’ have crazy chases and boxing bouts for very sensible reasons – they help female hares choose the best possible mates.) 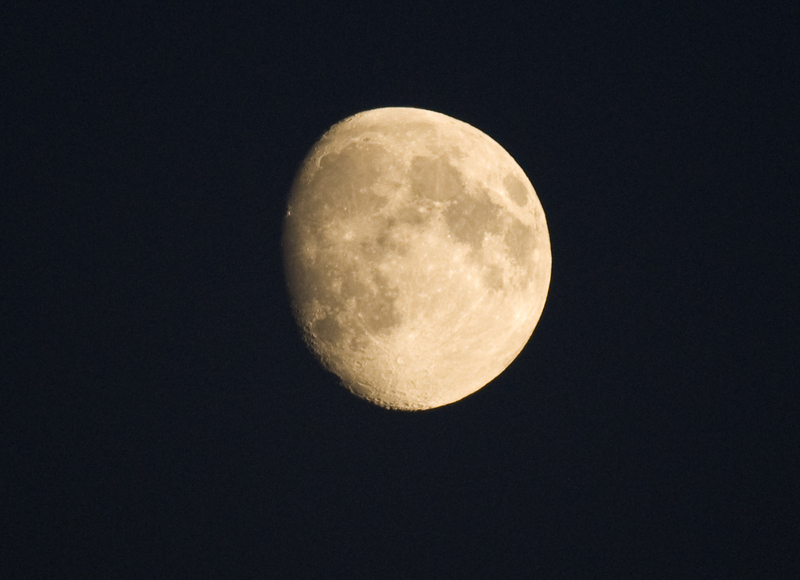 A third lunar connection is that the moon has its own hare: the shadowy shapes on its full face can be interpreted, with only a little imagination, as the image of a hare sitting almost upside-down sporting a pair of oversized ears. Marianne Taylor is a birdwatcher, dragonfly-finder and mammal-seeker from Kent, England. She is the author of a number of books for Bloomsbury, including some of our best-selling RSPB titles, such as British Birds of Prey, Where to Discover Nature and Naturewatch. 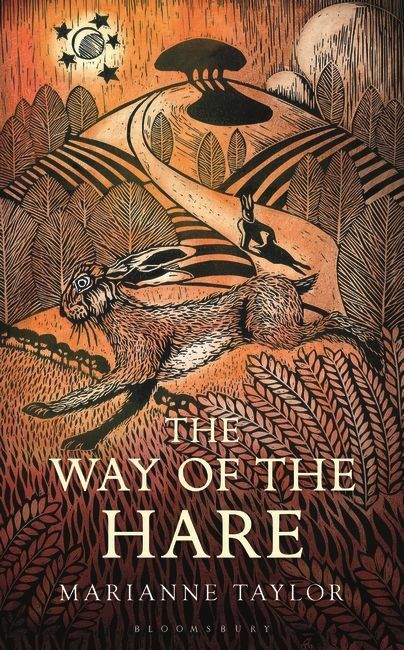 She is the recent author of The Way of the Hare.